Explore all of the following: the Cathedral and its Giralda Tower; the Reales Alcázares and its splendid gardens as well as Santa Cruz. 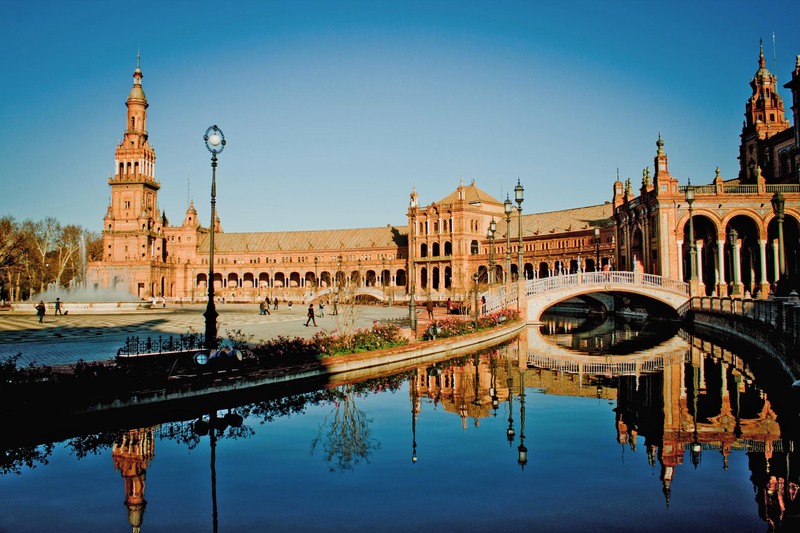 Venture on into Plaza de España; the Spanish Pavillion of the 1929 Expo, Maria Luisa Park, then take a stroll along the banks of the Guadalquivir River and the outside of the Plaza de Toros Bullring. Take a photo or two at the Torre del Oro Golden Tower and go on to soak up the atmosphere in the area known as Triana; the old gypsy part of the city famous for its flamenco and its bridge.